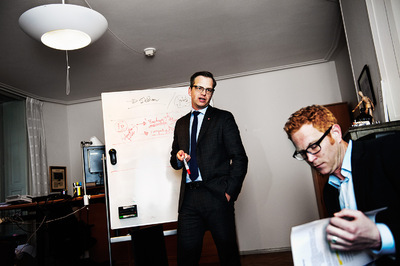 Member of Parliament Mikael Damberg and official Roger Syrén at the Social Democrats' parliamentary office, preparing for party leaders debate. For Fokus, 2014. 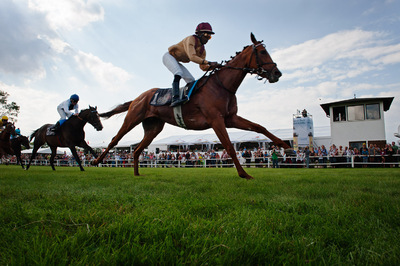 The first race at the annual Ostsee-Meeting in Bad Doberan. 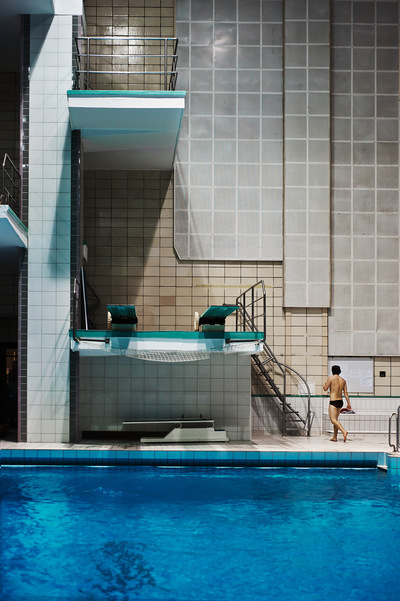 For Ostsee-Zeitung, 2014. 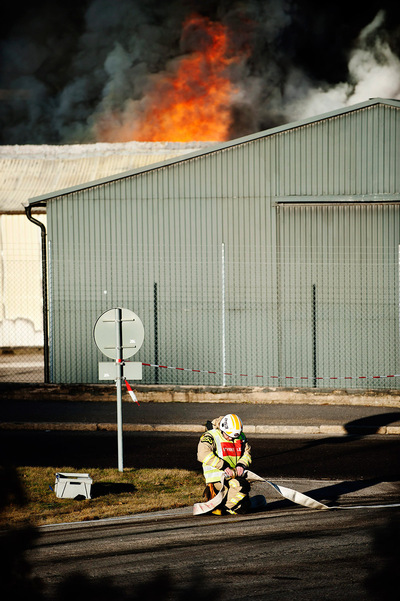 A fireman fights with the hoses while high flames burst out from the workshop with car tires. For Borås Tidning, 2013. 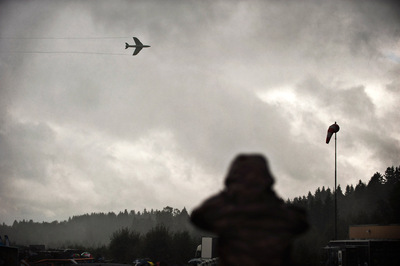 The fighter Hawker Hunter at Borås Airshow. For Borås Tidning, 2013. 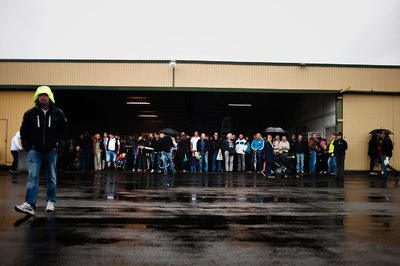 People taking shelter from the rain during Borås Airshow. For Borås Tidning, 2013. 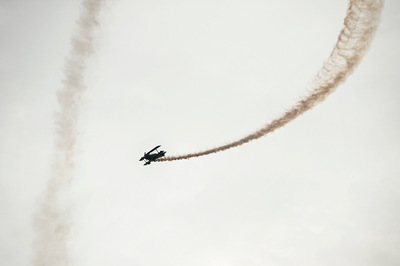 Airshow Borås. For Borås Tidning, 2013. 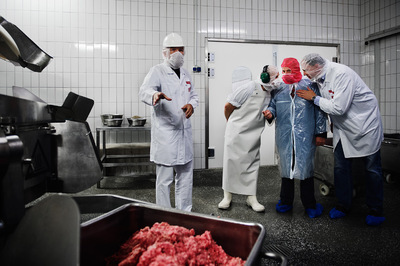 Minister of Agriculture of Mecklenburg-Western Pomerania Till Backhaus gets instructions of Tobias Blömer, Managing Director of the sausage factory "die Rostocker" and an employee about how to mix the ingredients into the meat mixer. For Ostsee-Zeitung, 2014. 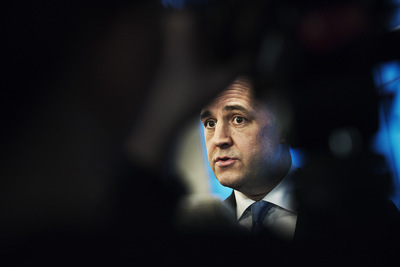 Fredrik Reinfeldt, Swedish prime minister until 2014, at a press conference. For Fokus, 2014. Socialdemocratic Magdalena Andersson leaves her office at Sveavägen 68 in order to participate in a panel discussion at Stockholm School of Economics. For Fokus, 2014. 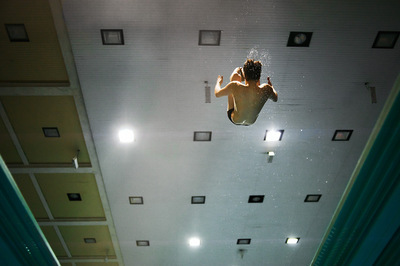 Diver Soren Jung during a training session. Freelance, 2011. Players in Nittorps IK before the away game against Olofströms IK. For Borås Tidning, 2013. Nittorp IK coach Mats Claesson and injured Mattias Remstam frustrated after losing 1-11 against Olofströms IK. For Borås Tidning, 2013. 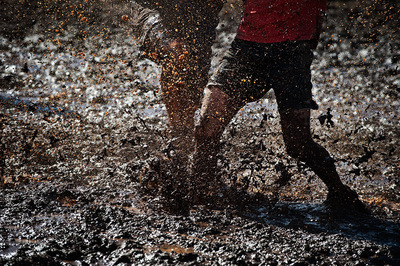 Two players at the Swamp Soccer European Championship in Iceland. Freelance, 2013.